If you have never expanded your horizons or tried new things this post is not for you. However, if you are like me, you are always looking to learn something new and exciting. I have recently been exploring Romanian Point Lace and Crocheted Tape Lace, and bobbin Lace. Why? My goal is to be able to mix and match all those techniques and combine them with my knitting skills. What possibilities it opens up. 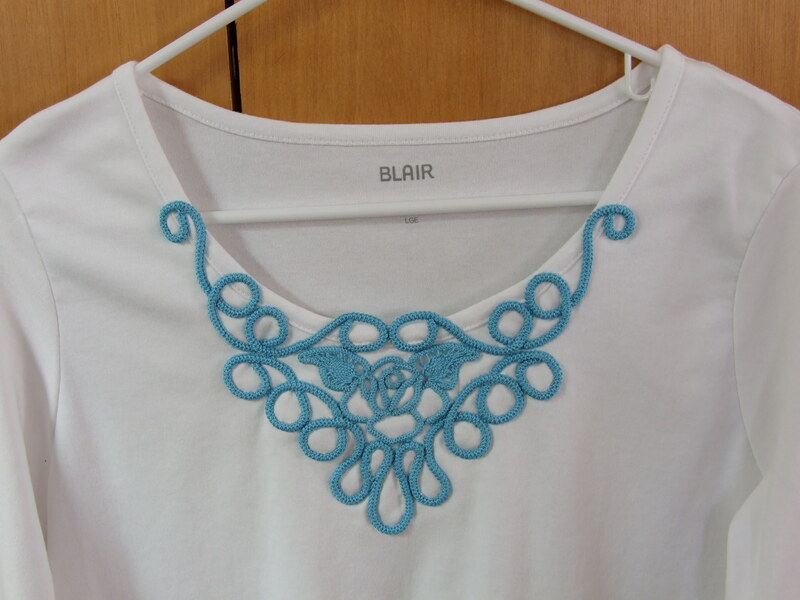 The crocheted tape lace can be used to create beautiful neckline embellishments for you knitted blouses and tops, sleeve edges, and bottom edges as well. They also make great bands for hats. 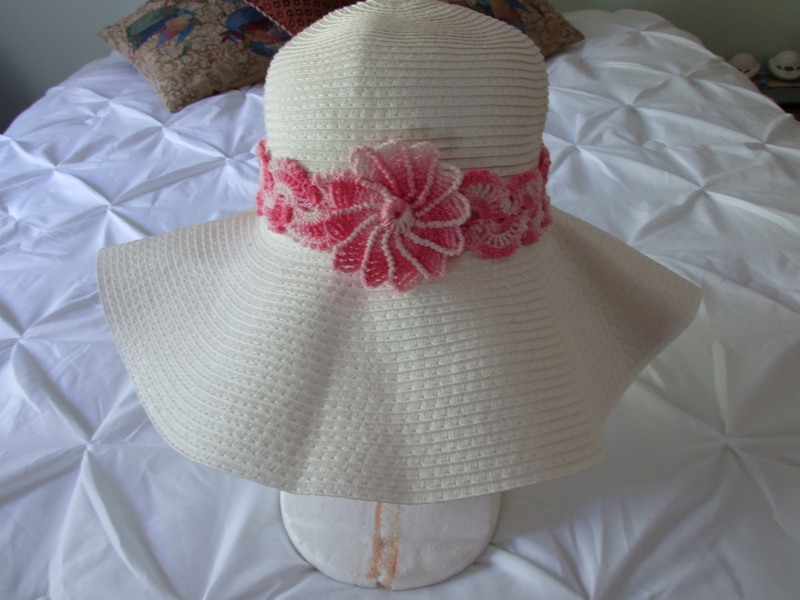 Below is a photo of my store bought hat with a crocheted tape lace in variegated pink. Combine that with an inexpensive top edged with the same tape lace, and you make a great presentation walking down the street. 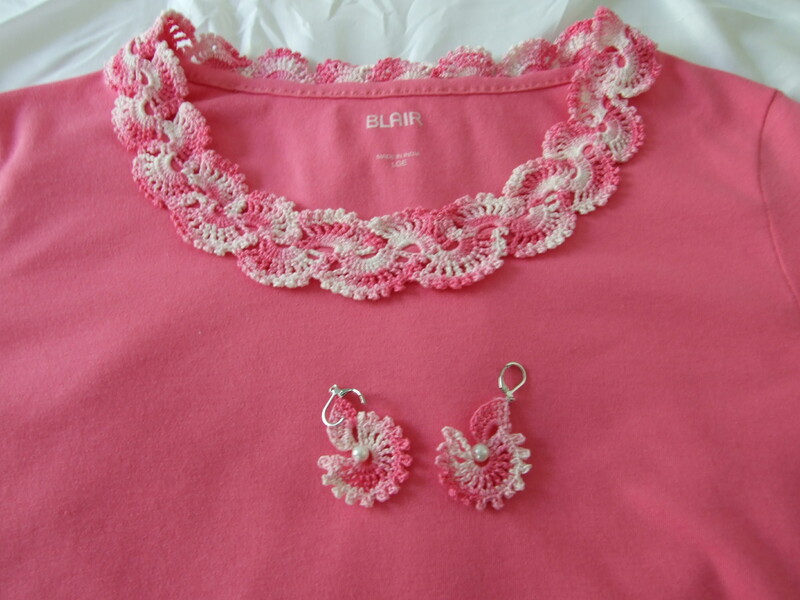 You will notice that also crochet earrings to match. 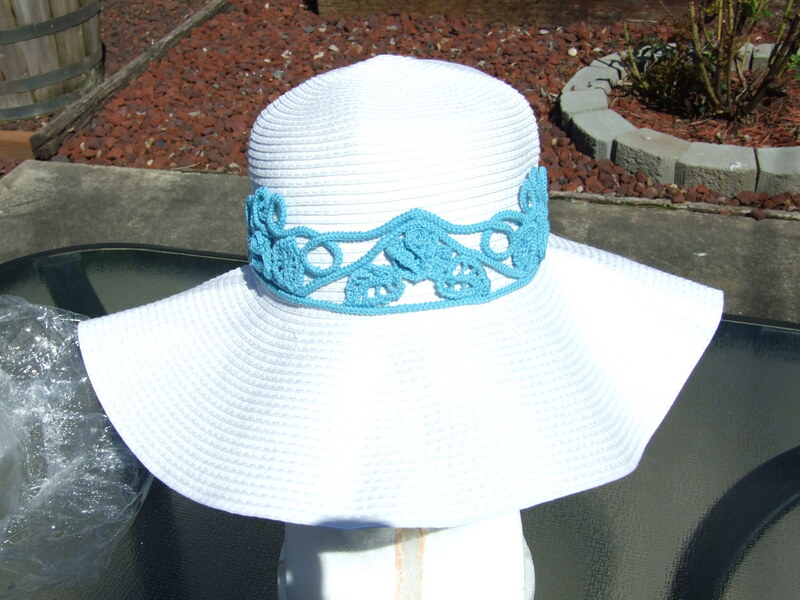 The next photo is of the same idea, only this time I created a Romanian point lace design for both hat and neckline. The rose design match the motif on the front of my top. As in most cases, one idea leads to another, so I am thinking up more designs for these hat bands, as they can be moved to whatever hat I am wearing. 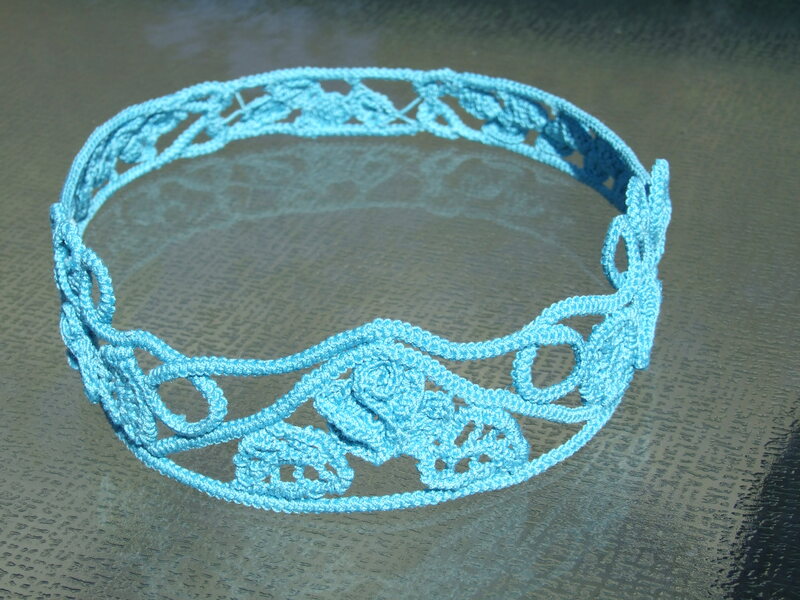 As you can see the Romanian point lace design is very sturdy. I do wash them in hot water when finished and after rolling them in a towel place them directly on the hat to dry. I have a Styrofoam head made to my dimensions, so it works perfectly to shape my piece. Give it a try. You can find it all on Youtube. PS- I love the Russian websites. These women are amazing and you can learn just by watching-no translation needed. Just use your “snipping tool” when you want a pic of the process, and have your pad and pencil ready to write instruction in English as you go.